African-American women, from 1619 to today, are honored as Jamestown Settlement presents “After Angelo: Celebrating Black Women in America” on February 23. The legacy of Angelo, the first African woman mentioned by name in the historical record at Jamestown, and African-American women in Virginia are celebrated with a day of music, dramatic performance and historical presentations from 9 a.m. to 5 p.m., followed by a night of jazz and blues from 6 to 10 p.m.
All daytime performances, activities and speaker presentations during this special event are included with museum admission. 10-10:30 a.m. – Welcome & Opening Ceremony with Barbara Hamm Lee, executive producer and host of WHRV-FM’s Another View, Libation by Corey Staten of Atumpan Edutainment and performance by ACT Dance Theatre Drums & Dancers. 11-11:30 a.m. – “Building the Black Community” keynote by Dr. Cassandra Newby-Alexander, Dean of the College of Liberal Arts and Professor of History at Norfolk State University. 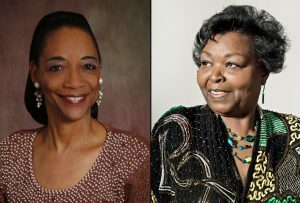 12-1 p.m. – “Re-Interpreting History through the Lives and Eyes of Black Women” panel discussion moderated by Barbara Hamm Lee, with panelists Dr. Cassandra Newby-Alexander, Katrinah Lewis, artistic director of museum theatre at Colonial Williamsburg, and Courtney H. Fuller, instructional specialist in the department of special education at WJCC Public Schools. 10:45 a.m./2:15 p.m. – Performances by The Masaharu Effect, featuring vocalist Kristen Merritt and bassist Ian Wright as they blaze a jazzy trail with original music and vintage style covers. Edutainment, a nonprofit arts education organization specializing in African culture. 12:15 p.m./3 p.m. – Performances by Time for 2 Violin & Cello Duo, with 14 year old violinist, Kearston Gonzales, and 12 year old cellist, Kendall Gonzales. 1:15 p.m./3:45 p.m. – Performances by Claves Unidos, a Richmond based arts collective featuring a lively blend of dances with African roots from the Caribbean and Americas. A separate ticket is required to attend the evening concert and can be purchased for $20 by clicking here. Open 9 a.m. to 5 p.m. daily, Jamestown Settlement is located on State Route 31 just southwest of Williamsburg and features expansive exhibition galleries and films that connect visitors with the lives of the Powhatan, English and west central African cultures that converged at 17th-century Jamestown, and historical interpretation in outdoor re-creations of a Powhatan Indian village, 1607 English ships and colonial fort. Jamestown Settlement is a stage for special exhibitions, events and programs in conjunction with the 2019 Commemoration, American Evolution, honoring the 400th anniversary of key historical events in Virginia in 1619. 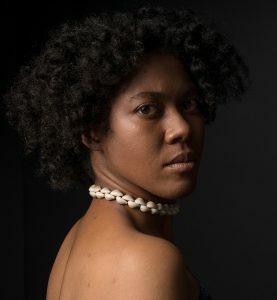 The “TENACITY: Women in Jamestown and Early Virginia” special exhibition, a legacy project of the 2019 Commemoration, explores captivating and little-known stories of Powhatan Indian, English and African women in 17th-century Virginia, and will be accompanied this year by more than a dozen public lectures, special events and performances. All daytime performances, activities and speaker presentations during this special event are included with museum admission: $17.50 for adults, $8.25 for ages 6-12, and free for children under 6. Residents of York County, James City County and the City of Williamsburg, including College of William and Mary students, receive free admission with proof of residency. 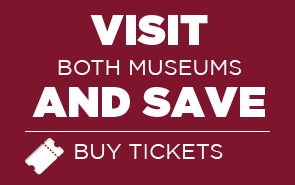 A value-priced combination ticket with the American Revolution Museum at Yorktown is $26.00 for adults and $12.50 for ages 6-12. A separate ticket is required to attend the evening concert and can be purchased for $20 at bit.ly/after-angelo.